These underground halls were built early in the First Era by King Berthulic, ruler of one of the first free Breton kingdoms after the decline of the Direnni Hegemony. 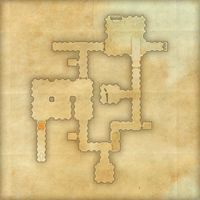 The halls were said to be haunted by the prisoners slain here in the Purge of the Wyrd-Hags in the Year of Sun's-Death. 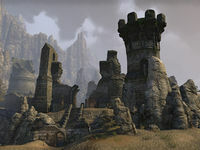 The Lorkrata Hills are the site of a ruined fortress located in central Rivenspire, east-northeast of Shornhelm. The fortress was built by King Berthulic, one of the first free Breton rulers, following the decline of the Direnni Hegemony. The fortress was built on top of an ancient Ayleid ruin. Lorkrata Hills Objective: Help Verandis Ravenwatch locate the secret of Lorkrata.